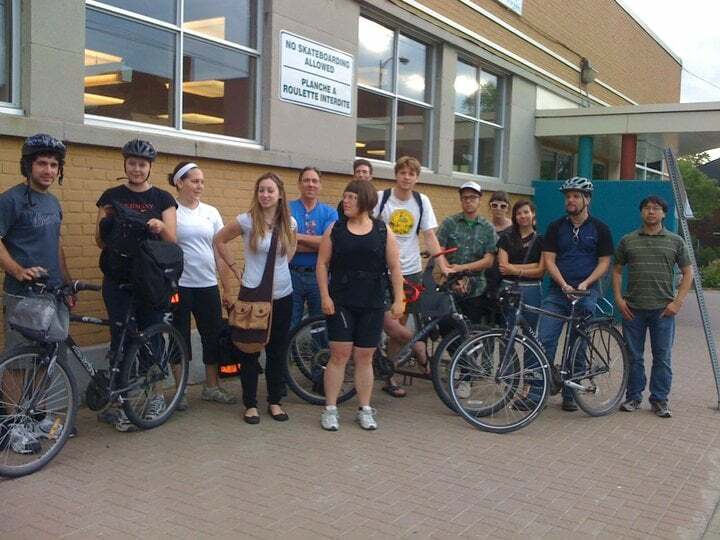 The Sudbury Cyclists Union was formed in June 2010 by a group of cycling enthusiasts who have cycling at heart. In March 2019, the Sudbury Cyclists Union became Bike Sudbury/Vélo Sudbury. 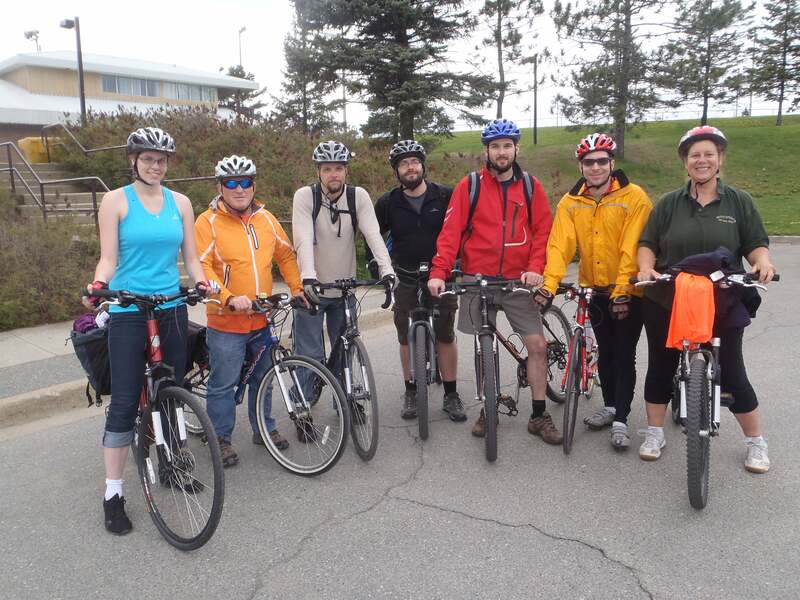 We are a volunteer grassroots organization whose main focus is to provide a strong unified voice for people who bike and to facilitate a better cycling culture in the City of Greater Sudbury. Our goal is to make biking safe, connected, convenient, accessible, and fun for people who bike - of all ages and ability. Working together with those who share our same values, we promote making cycling improvements within the city. 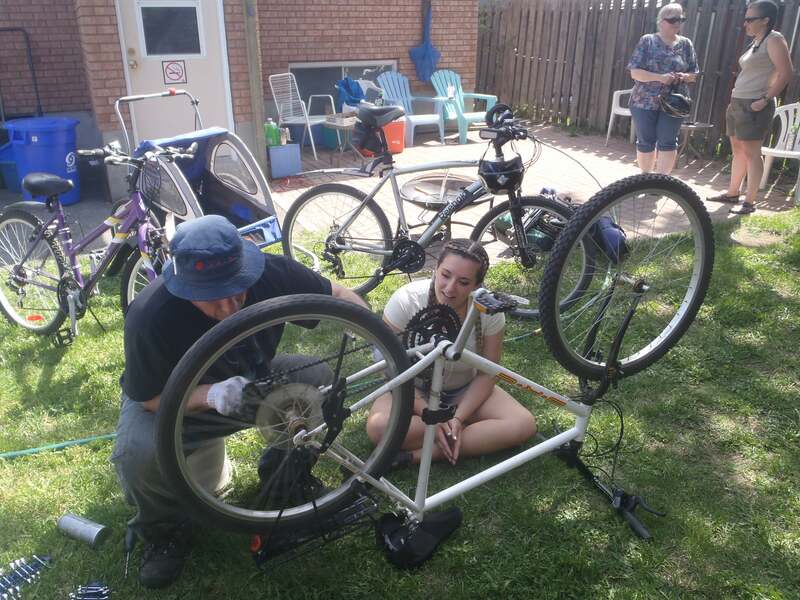 We work and partner with a number of organizations and groups to offer cycling programming. These include the City of Greater Sudbury, the Greater Sudbury Police Service, Rainbow Routes Association, Public Health Sudbury & Districts, Share the Road Coalition, EarthCare Sudbury, Conservation Sudbury, the Sudbury Road Safety Committee, the Canadian Mental Health Association, the Brain Injury Association, Community Action Networks, among others. We were represented on the City of Greater Sudbury's Sustainable Mobility Advisory Panel, which operated from 2010-2018. 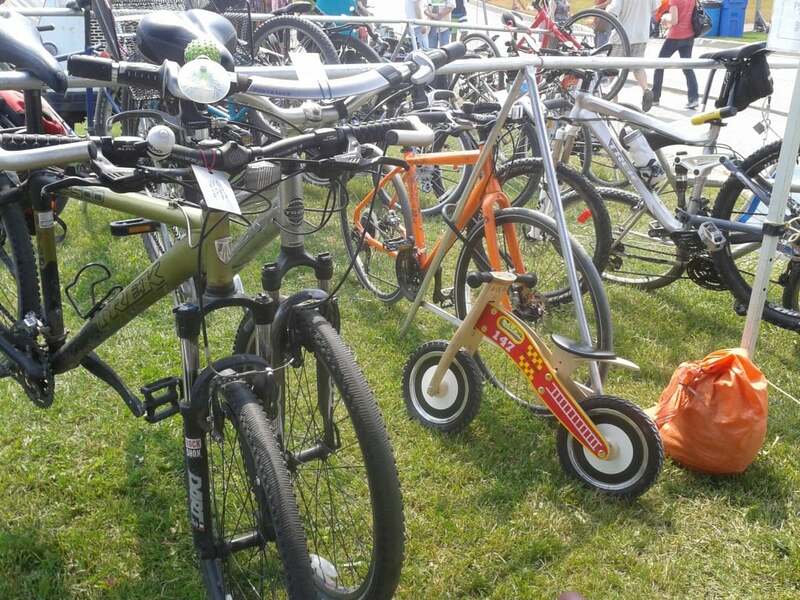 We volunteer, offer bike valet parking, hold community rides, or promote safe cycling at Northern Lights Folk Festival Boréal, UpFest, the River and Sky Camping and Music Festival, Valley East Days, Rayside Balfour Days and other festivals. We collaborate with and promote the Walden Mountain Bike Club and the Sudbury Cycling Club. We are members of the Coalition for a Liveable Sudbury, EarthCare Sudbury and reThink Green. We offer registered yearly memberships of $10 for individuals, $15 for families, and a flexible membership for those who want to support us based on what you can pay or your level of support for us. Since we're a volunteer-led organization, membership dues are needed for insurance and programming expenses. 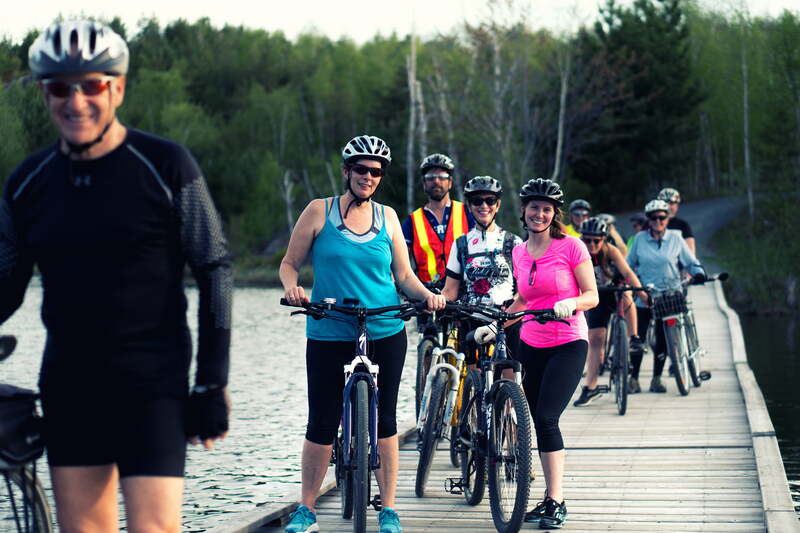 Build a strong cycling culture in Greater Sudbury through fun and accessible cycling activities. Be a voice for safe cycling for people of all ages and abilities throughout Greater Sudbury. We respect people and promote honesty and integrity in all discussions. We value diversity, new ideas and opinions. We work in a spirit of collaboration and promote a supportive environment. We are role models and leaders for safe cycling in the community. Safe cycling is a right for cyclists of all ages and abilities. Cycling is an activity that can improve and help maintain good health, provides economic benefits to the community, and is a cost-effective mode of transportation. Cycling should be an integral part of our transportation network. Bicycles should be used in a safe and lawful use on all roads. We encourage all cyclists to abide by the Ontario Highway Traffic Act and to follow vehicular traffic laws. We also encourage all cyclists to learn and use safe and proper bicycle handling skills. Traffic laws should be enforced fairly and equitably for all road users. Cycling safety education should be available for all road users, including cyclists and motorists. 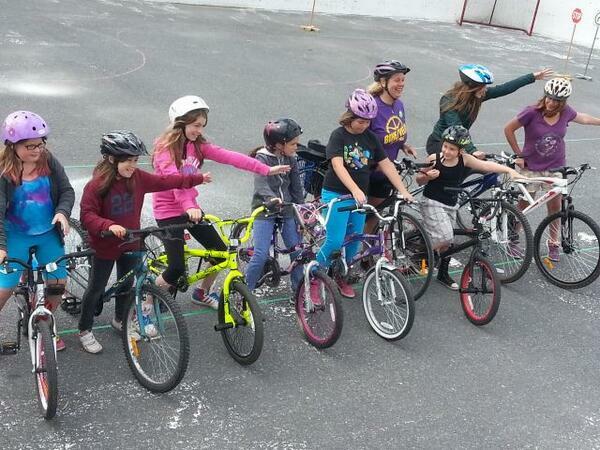 We support and encourage the use of helmets by cyclists of all ages. Principles of Complete Streets should be applied to all roads and benefit all road users. Generally speaking, Complete Streets are designed to be safe for all users, such as people who walk, bicycle, take transit, or drive, and people of varying ages and levels of ability (ref: City of Toronto). In Ontario, the Ontario Traffic Manual includes a series of 22 traffic engineering and traffic control reference manuals to provide municipal guidelines on various traffic control options and approaches. Specifically, Book 18: Cycling Facilities, provides guidelines to safely manage bicycle traffic in various situations. Cycling infrastructure in Greater Sudbury should meet the minimum standards described in Book 18. Our goal is to provide dedicated and physically separated infrastructure on all roads with speed limits equal or greater than 60 km/h, and dedicated infrastructure for roads between 50 and 59 km/h. Shared infrastructure is appropriate for roads with speed limits of 49 km/h or less. We advocate that all residential neighbourhoods have a maximum speed limit of 40 km/h. The City of Greater Sudbury should develop a network (minimum grid) of safe cycling infrastructure that follows the recommendations of Book 18, and that contains separated infrastructure for high-traffic and high volume roads, such as protected on road bike lanes or raised bike lanes (cycle tracks), with the goal of creating a safe and connected cycling network in all of Greater Sudbury. Ideally, the grid offers riders safe and convenient route options that allow people to safely get to their destinations when using a bicycle. Sharrows do not improve road user behaviour, nor do they improve the level of safety or comfort for all road users, especially cyclists. Sharrows should only be used in very specific circumstances such as for wayfinding on on-street residential routes. Sharrows should not be used on streets where traffic is moving at speeds over 40 km/h or where traffic volumes are high, such as on arterial roads. Sharrows should be removed from roads with speeds over 40 km/h and be replaced with appropriate, safer cycling options as outlined in Book 18. Cycling on sidewalks puts both pedestrians and cyclists at risk. We urge cyclists to avoid riding on sidewalks. However, we understand that in some cases where safe cycling infrastructure is not provided, some cyclists might choose to cycle on sidewalks. In these cases, cyclists should always respectfully and safely operate their bicycles, and always give way to pedestrians. In addition, for everyone’s safety, these cyclists should also cross intersections as pedestrians (walking across), following all applicable rules. Year-round cycling should be encouraged and the City of Greater Sudbury should take steps to provide safe options for people who bike year-round—for recreational reasons or out of need. For some cyclists, riding a bike is a personal choice or purely a recreational activity, but for many others, it is a necessity. Many people do not have vehicles and/or public transit does not meet their needs to get to work, to school or to run errands. All road designs or traffic management approaches should allow cyclists to safely and conveniently reach their chosen destinations.